Lowdown: A new Bourne, a similar story. Episode 4 of the Bourne movie franchise takes us into new territory. We have a new director, Tony Gilroy, who doesn’t seem as attached to shaky camera work as his predecessor (hooray!). We also have a new hero, a new Bourne for argument’s sake, in the shape of a Jeremy Renner stepping into the shoes previously filled by Matt Damon. Other than that, it’s more of the same, really. We start off with an introduction to our new Bourne as our commando ventures across desolate snowy landscape filled with wolves (between this and The Grey, wolves seem to be in season) and popping colorful pills. In parallel, we hear the news that commotion caused by the original Bourne from the first three films is causing the CIA to cut off the entire program. They put a special agent in charge (Edward Norton), and when he’s cutting things off he’s doing it all the way. Thus we realize Damon’s Bourne was only one of an outfit of several chemically enhanced warriors, designed to have certain superhuman qualities through their colored pills and viruses. These include magic like healing, enhanced intelligence and controlled empathy. In other words, these are machine like killers that the CIA is now trying to kill off. The CIA gets its way with two notable exceptions: Renner gets away with it as well as a doctor working at the lab running the chemical interventions (Rachel Weisz). Thus we have ourselves a romantic couple with an urge to live against all the odds thrown their way by American authorities. And if you think the Bourne program was the only one to use chemically enhanced soldiers then you’ll be in for a surprise when you see this movie’s Terminator like nemesis. 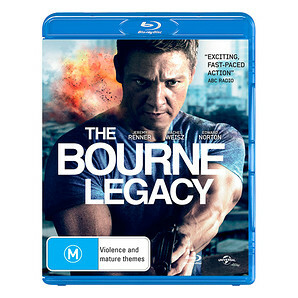 The Bourne Legacy is fairly long, significantly longer than two hours. It does not utilize its resources well: the snowy beginning of the movie stretches out for way too long, and it’s only till the second act that things stabilize on a hectic rate of the intense action scenes set against an international background (most notably the Philippines) that the Bourne series won its claim to fame with. Indeed, once the ball is rolling The Bourne Legacy can boast at being the best Bourne thus far, if only by virtue of the fact it is comprehensible as well as intense. The international settings are smartly used. The snow scenes are portrayed for their expansive nature while the dense Far East urban settings can be claustrophobic. With strong anti-authoritarian elements befitting this age of the Wikileaks and the Prisoner X, The Bourne Legacy proves the series can continue strongly despite the seemingly forced rejuvenation. In other words, well done reboots have a place under the sun. Best scene: Motorcycle chases across the congested streets of Manilla. Worst scene: The end, which is obviously set up for the sequel to come. Overall: Cut off the beginning, throw in a proper ending, and you'll have yourself a hell of an action movie. 3 out of 5 stars.